O Lord, how long will You forget me? Forever? How long will You look the other way? with sorrow in my heart every day? How long will the enemy have the upper hand? Turn and answer me, O Lord my God! Restore the sparkle to my eyes, or I will die. Don’t let them rejoice at my downfall. But I will trust in Your unfailing love. I will rejoice because You have rescued me. because He is good to me. How long, O Lord? This is a question my heart has asked over and over in many different situations. When my heart is breaking, when I feel defeated, when I just want answers. Even when I know that God is with me, and I know He is present in every moment, my heart sometimes feels forgotten. When I feel forgotten, fears creep in. All of those what ifs come tumbling towards me. This morning as I write, I have a sweet boy sitting across from me. Sometimes it is impossible to find the positive in the negative, like a third suspension this year. Middle school is not kind to autistic children. I fear for the future. Like when people ask me the question “what does his life look like fifteen years from now?” I don’t like thinking about the future and all of its uncertainties. It breaks my heart because I don’t know. What if he doesn’t get a job? What if he can’t support himself? What if he doesn’t get married and experience the joy of having a spouse and companion to do life with? These are the questions I don’t like to think about. And when I do, I find my heart crying out, how long, O Lord? How long will his days be difficult for him? How long will he struggle with control? How long will he be hurting? How long will he be lonely? I don’t have answers to these questions, but I do have this beautiful psalm. It brings me hope. Here, we can see that David begins by crying out to God. He is even complaining about his situation, feeling that God has abandoned him in his time of need. David then prays for help, and asks for God to return the sparkle to his eyes. When I read this psalm, I feel this line – David was deflated. Have you ever felt this way? Maybe you don’t struggle with depression, but you have felt overwhelming sadness. 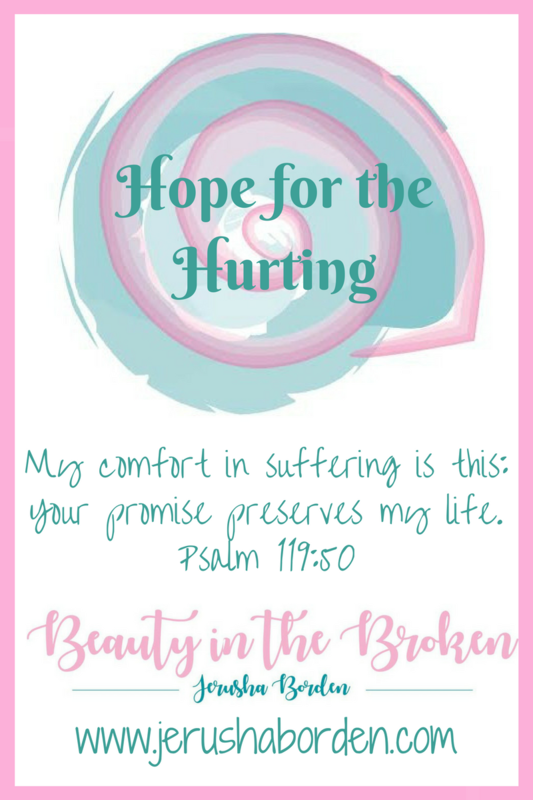 In this psalm, David asks God to help him find his hope again. Then, spurred by these he remembers he does have hope in God. He remembers all of those times God has rescued him and helped him in his time of need. Then he ends this psalm praising God for his goodness. When we are facing a situation that makes us cry out How Long, O Lord? we might be forgetting that God is good. We might be like David, who needs to be reminded that He is for us, that He loves us and that He has a plan. Sometimes it helps to filter through your past and see how God has been present and working in your life. Maybe you keep a prayer journal. Maybe something pops up in your memories feed on Facebook. Or maybe you just remember on your own. This morning as I sit here, writing with my sweet son across from me I realize how far he has come. As discouraging as it is for me to see him have another suspension on his record, I can thank God for all He has done in his life. I can be thankful that He is a child of God. I can praise God for the obstacles we have overcome, and be certain of the hope that He will be with us as we overcome more obstacles together. I pray that when you are crying out to God in those How Long, O Lord? moments, you will remember that God is good. And like David, we will end our cries to God with praise. Because when we are hurting, when we are feeling deflated, that’s when our praise needs to be the loudest. That is when we need to cry out to God with all of our hearts. God has not forgotten you. Even though you may feel he has. Even when you are feeling sad, deflated and overwhelmed. He is still God and He is still good. Hi Jerusha, thank you for sharing your heart in these words. I pray God's strength and comfort for you. One of my favorite Psalms! Have you heard Shane and Shane's song of this Psalm? It's wonderful! I haven't heard it, I'll look it up!